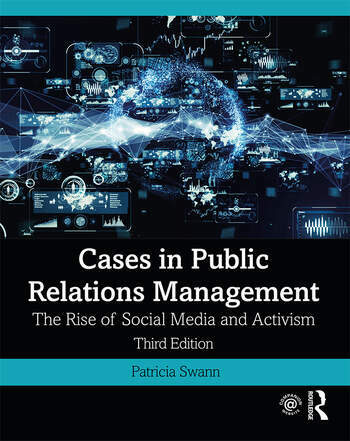 Now in its third edition, Cases in Public Relations Management uses recent cases in strategic communication designed to encourage discussion, debate, and exploration of the options available to today's strategic public relations manager, with the help of extensive supplemental materials. Key features of this text include coverage of the latest controversies in current events, discussion of the ethical issues that have made headlines in recent years, and strategies used by public relations practitioners. The problem-based case study approach encourages readers to assess what they know about communication theory, the public relations process, and management practices. Eighteen new cases including Snap, Wells Fargo, SeaWorld, United Airlines and Starbucks. Developed for advanced students in strategic communication and public relations, this book prepares them for their future careers as communication and public relations professionals. The new edition features a fully enhanced companion website that includes resources for both instructors and students. Instructors will find PowerPoint Lecture Slides, Case Supplements, Instructor Guides, and Answer Keys for Quizzes and End-of-Chapter Activities. Students will benefit from Quizzes, a Glossary, and Case Supplements. Patricia Swann, former dean of the School of Business and Justice Studies, is a professor of public relations and management at Utica College, USA. She is the executive director of the Raymond Simon Institute for Public Relations and Journalism and the past head for the Public Relations Division of the Association for Education in Journalism and Mass Communication. She has 20 years of experience in the public relations and journalism industries and has garnered numerous awards for her work.